Soooo we simply ADORE this time of year – it is CONKER SEASON!!! 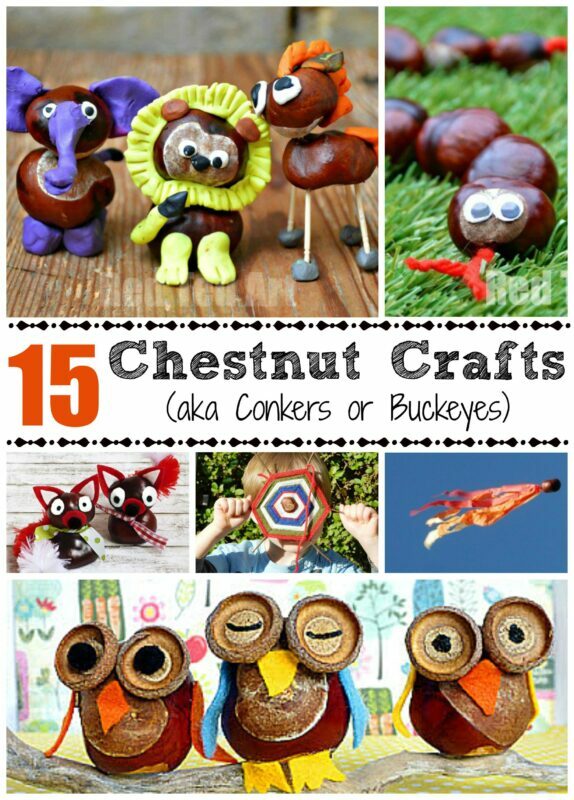 For those of you that don’t know.. conkers are horse chestnuts and in a European Child’s life they are kind of a big deal. Well.. any child that likes to play outside and collect nature items. 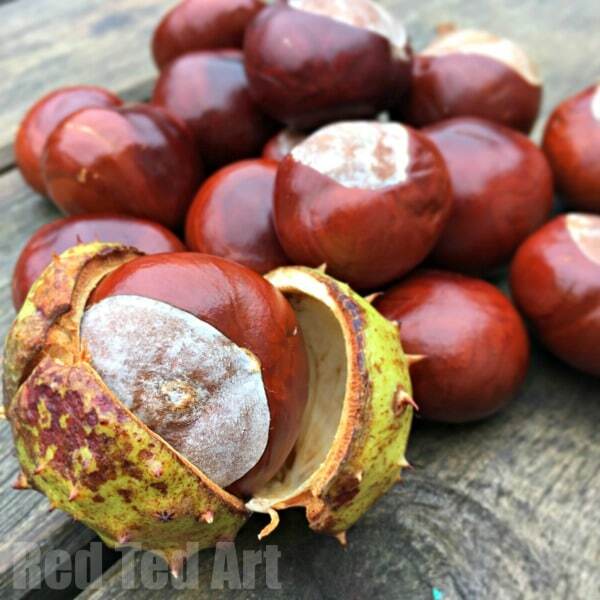 Each year the kids and I eagerly await conker season, it usually only lasts about 2 weeks before the Chestnut Trees has released all their conkers into our willing arms and baskets. But once you have collected them all.. what do you do with them? 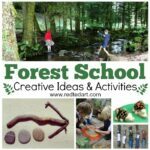 As part of our special Forest School series, here are some great ideas of what to do conkers when out and about! 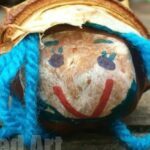 The ideas shared here today are mainly fore Preschool Forest School.. however, if you are working with KS1 and KS2, you can go further and look at some of our Conker Crafts! 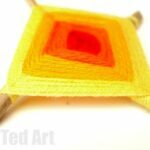 I particularly love these conker spider webs for older kids. Nature Art – yes, this is indeed one the most obvious uses for conkers when out and about. Obvious or not, we love handling conkers in this way and highly recommend it. Maths – the kids may be a little reluctant at first (who wants to do extra maths when playing out in the forest?) 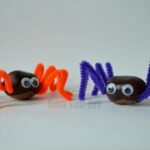 however, if you can persuade them to have a little sit down, conkers are great for practicing your number bonds. In fact.. if as a forest school leader you have time – you can turn their collection of 10 conkers into conker snakes – perfect for playing with AND practicing your number bonds once home again! Extend this maths idea and have a session of “big to small” sorting. This a praticularly good activities for toddlers learning about size. Use your conkers to have a game of bowls. Combine with a pinecone, see how can throw their conker closest to the pinecone to win. This is a game of concentration and skill. We have used pine cones only before to play this game, but I think conkers would make a great addition. Use your conkers for a game of woodland hopscotch. Use sticks to mark out your path (make 10 lines of sticks, rathern that squares) and throw your conkers in turn to hop along. 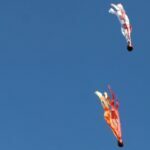 Play Conkers – you will have to come prepared for this one with some string and something pointing to make holes in the conkers.. teach the kids this traditional game of How to Play Conkers. It is classic for a reason! 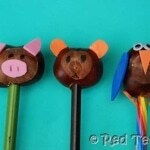 Come prepared and using a piece of chalk, turn your conkers into Naughts and Crosses markers. Have a game of conker & spoon race – again you will have to come prepared with the spoons.. but this is a quick and fun game for kids! 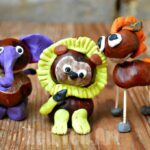 Finally – here are some super active and fun games using conkers – check out this article on 6 great conker games! I love the simplicity of pass the conker and the craziness of conker crawl. 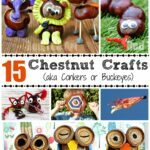 I miss the chestnut tree we had at our last house, and all the fun games that we played! This brought back wonderful memories.